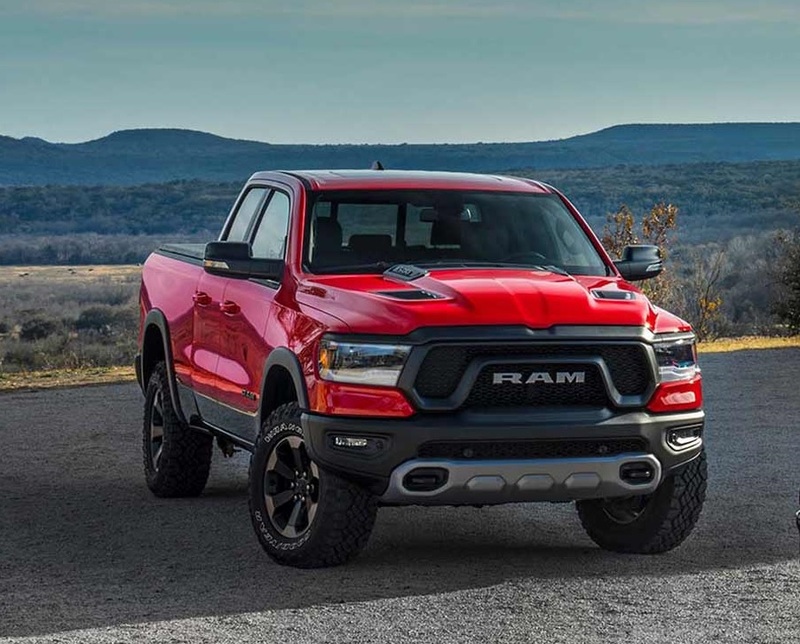 When you demand excellence in your pickup truck, it may be difficult to pass over the new 2019 RAM 1500. While the 1500 truck has been available for drivers like you to choose from since 1981, it has evolved dramatically over the years. The latest model year available is offered in six stunning trim levels, and this gives you the ability to customize your driving experience to perfection. While the features and overall design of the trim levels vary in noticeable ways, you may find it difficult to resist the impressive power and overall thoughtful appointments loaded into each 1500 that you can choose from. At Melloy RAM serving Albuquerque Santa Fe New Mexico, you can spend time browsing through our huge inventory to admire each of the trim levels in detail and to learn more about the standard and optional features in the 1500. When you compare the 2019 model's exterior design against the 2018 model's design, you will see that significant aspects of the exterior have been retouched. The entire shape of the truck has a more sculpted look that gives it a commanding presence on the road. This includes a dominant grille with more robust contouring along the side panels. All trim levels for 2019 also come with an updated grille, LED headlights, smart cargo features and even several wheel and tire combinations for you to choose from. With so many excellent ways to configure your new truck's exterior, you will love the originality of your truck as you cruise down the road. Between the various trim levels and the many optional features and packages that you can add, this is a truck that you must see in person in order to fully appreciate. Today's RAM 1500 has impressive power and overall functionality on the road, but this pickup truck is anything but utilitarian. The entire interior of all trim levels has a luxurious feel that will make you and your passengers feel pampered each time you climb inside. With room for up to six passengers based on the seating configuration, there is ample head and legroom in the front and rear rows. One of the more prominent features in the center of the dashboard is a tablet-sized touchscreen in full color. It provides you with convenient control of the sound system, climate control, the robust navigation features and more. The sound system is impressive with quality speakers and audio equipment from Harman Kardon. The instrumentation panel is partially digitalized and has gorgeous light accents to give the truck's interior a modern edge. Some trim levels come with a panoramic sunroof, high-quality leather seating, a wireless charging pad, Apple CarPlay, Android Auto and numerous other features. When you are ready to learn more about the many interior features and to get behind the wheel to admire the luxurious design of the cabin, a visit to Melloy RAM serving Albuquerque Santa Fe New Mexico is a smart idea. You may be searching for a powerful pickup truck that can hold up well to the rigorous demands of your work activities or that is solid and durable enough to be functional for weekend adventures. 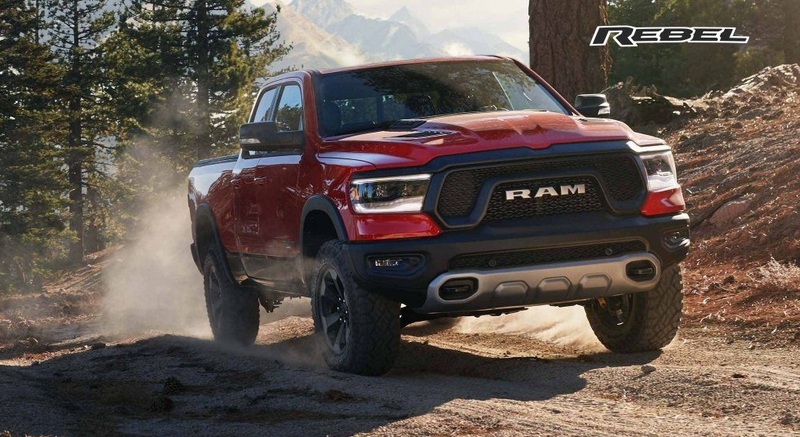 Regardless of that you have in mind for the new RAM truck, rest assured that this is the truck that you can count on to perform well. There are multiple engine options to choose from, including a V8 engine that delivers 12,750 pounds of towing capabilities and 2,350 pounds of payload hauling capabilities. Adding to your great experience on the road is an improved steel frame for rigidity and durability as well as an advanced e-Torque hybrid system. All trim levels also come with a four-corner suspension system that is designed to give you a smooth, quiet ride across most terrains. The best way to experience all that the 1500 truck for 2019 offers behind the wheel is to test drive a few of your top picks at our dealership. Your safety and well-being on the road are not factors that this automaker takes lightly. The truck continues to be offered with a full range of typical or expected safety features, such as anti-lock brakes, numerous airbags throughout the cabin, stabilization and traction control features, child safety seat latches and child safety door locks. In addition to these and other more common safety features, the 1500 truck for 2019 also comes with a surround-view 360-degree camera, smart cruising, guided parallel and perpendicular parking assistance, a cross-traffic alert, trailer monitoring, a blind spot monitor and a lane departure warning feature. With these and other safety features in the new 1500, this is a truck that inspires peace of mind on the road. With many full-size trucks on the market today for you to choose from, it may seem challenging to narrow down your options. However, when you compare the many features, the power capabilities and the overall design of the new 1500 against the competition, you will see why this is a leading option to consider. 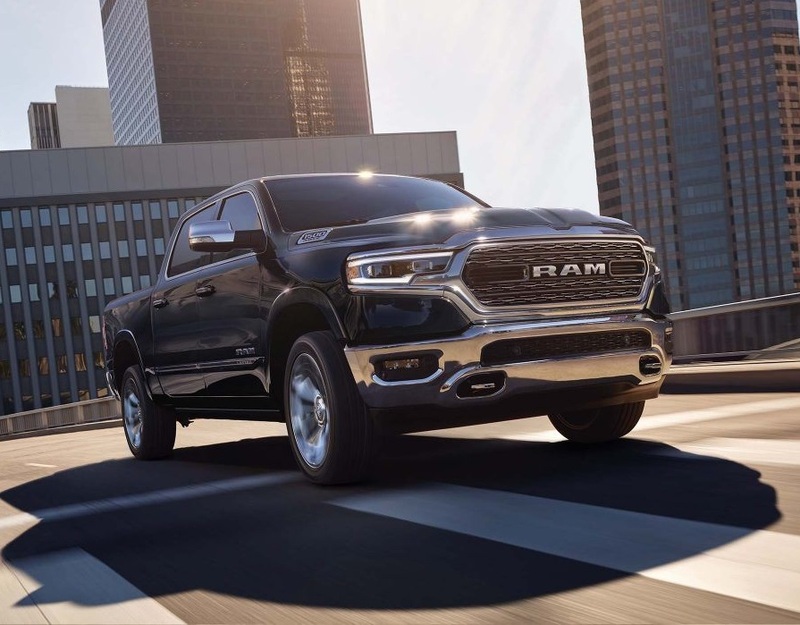 If you are ready to get serious about your truck buying plans, now is a great time to head to Melloy RAM serving Albuquerque Santa Fe New Mexico to see this truck in person and to select the exact vehicle that you are excited to take home.